Brian Chase is General Counsel of Found Animals Foundation. He supervises the Foundation’s legal, human resources, volunteer and policy departments. Brian reviews and negotiates contracts for the Foundation and evaluates potential legal risks the organization may face. Prior to joining Found Animals Brian was Assistant General Counsel for AIDS Healthcare Foundation, one of the largest nonprofit providers of HIV/AIDS medical care to underserved people around the world. In 2001, Brian was the first attorney in the Dallas office of Lambda Legal Defense and Education Fund, a national LGBT legal organization. While working with Lambda Brian was part of the appellate team for Lawrence v. Texas at the United States Supreme Court. Brian attended law school at Tulane, and has an undergraduate degree in religion from Wake Forest. Joe is a graduate of the Emerson Theological Institute certified as an Animal Chaplain. He also serves as President of the Association for Pet Loss and Bereavement (APLB). Joe is President and founder of Daniel’s Dream dog rescue. The theme is to save dogs today through a foster network, and tomorrow by inspiring our youth. A certified dog trainer, Joe has always had a passion for animal rights. He has rescued all of his dogs and trained one of the rescued dogs, Shelby, to be a certified therapy dog. In November of 2011, Daniel “the miracle Beagle” came to live with Joe and his family. Daniel has already had a positive impact. Through his story of survival from the gas chamber, Daniel has inspired adoptions, spay/neuter and has brought an awareness of the need to pass a law to ban the use of gas chambers. Joe is the author of “Shelby’s Grace” about his formerly abused and abandoned Pit Bull that is now a therapy dog, “Daniel, the Miracle Beagle” about Daniel’s incredible journey from Alabama to New Jersey, “The Dog Ate My Homework….Or Did He?” about personal and business accountability from a dog’s view. Joe lives in New Jersey with his wife Geralynn and their four dogs: Greta, Spartacus, Shelby, and Daniel. Steven Feldman, DVM has been a practicing veterinarian for almost forty years now. After earning his doctorate at the University of Illinois, Champaign-Urbana, he and his veterinary school classmate-spouse Betty owned their own small animal practice outside Washington, DC for 23 years. While living in Maryland, Steve served as President of the Prince George’s County Veterinary Association. He also was a Commissioner for many years on the Prince George’s County Commission for Animal Control. (Prince George’s County not only enacted a comprehensive dangerous dog ordinance in the early 1980’s but also enacted breed-specific legislation which outlawed pit bulls in that jurisdiction - legislation that Steve opposed.) Steve had a special interest in veterinary clinical behavioral medicine for small animals and was Secretary-Treasurer of the American Veterinary Society of Animal Behavior. Tiring of icestorms and southern humidity, he moved to southern California 14 years ago and has the distinction of being the longest-tenured shelter veterinarian on staff at the Los Angeles Department of Animal Services. Steve has a special interest in animal shelter history and recently published an article on the history of the city department. As a shelter veterinarian, Steve is active performing spay-neuter surgery almost daily and is often involved in preparing reports detailing animal cruelty and neglect. He is a member of the Southern California Veterinary Medical Association, the Ventura-Santa Barbara Veterinary Association, and the American Veterinary Medical Association. He serves as secretary-treasurer of his AFSCME labor union local as well. Inga Fricke is Director, Keeping Pets in Homes, at The Humane Society of the United States (HSUS). She leads The HSUS’ Pets Are Welcome campaign, designed to expand opportunities for pet owners to find and retain rental housing in communities across the nation, and oversees various other initiatives that assist animal care professionals in their lifesaving work. She also serves on the board of Shelter Animals Count, a non-profit organization formed to create and share a national database of sheltered animal statistics. Prior to joining The HSUS, Inga served as Administrator of the Wyandot County Humane Society/H.O.P.E. Clinic in Upper Sandusky, Ohio, helping to found the Wyandot County Equine Rescue, and as Shelter Manager for Loudoun County Animal Care and Control in Leesburg, Virginia. Ledy VanKavage is the Senior Legislative Attorney for Best Friends Animal Society located in Kanab, Utah. In 1985 she helped organized the Madison County Coalition Against Pound Seizure, successfully stopping the sale of pets for research in her county. She then was a cofounder the Madison County Humane Society( now Metro East Humane Society) and was its president for eight years. In 1992 she co-founded the Illinois Federation of Humane Societies and was a cofounder of Operation SPOT (Stop Pet Overpopulation Today.) Before coming to Best Friends Ledy was the Senior Director of Legislation and Legal Training for the ASPCA. She has spearheaded the passage of over 35 humane state bills during her lobbying tenure and is a past Chair of the American Bar Association’s Animal Law Committee. Ledy is the recipient of the ABA’s Excellence in Animal Law award for 2014. She has been interviewed on MSNBC, NPR, the Chicago Tribune, Time Magazine and the New York Times. ​Danielle Lowy, formerly the head of animal cruelty prosecutions for the Riverside County District Attorney is now a devoted animal activist, focusing most of her pro bono efforts to end the dog-meat trade in Asia through collaboration with the Vanderpump Dog Foundation, Duo Duo Project and St. Martin’s Animal Rescue. 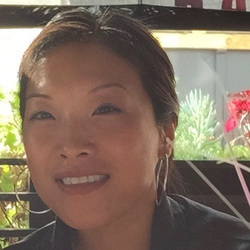 Celia Cho practices entertainment law involving intellectual property, such as copyright and all things related to music. She was inspired to become an attorney to help others protect their rights in their creative expressions. As an animal lover, Celia is focused on ending the dog meat trade in South Korea and changing laws that elude animal protection. Shelley can’t ever remember a time when she didn’t have an animal in her life. She took in abandoned kittens before she was 7 years old and had her first internship when she was 10 - at a veterinarian’s office. She had horses and cows and even raised sheep to show through the 4H club. It was after winning a blue ribbon at a 4H show when she was in 8th grade that she found out what was happening to the sheep she raised - a turning point in her social awareness of the plight of animals. As an entrepreneur, Shelley started multiple companies, but even with the success, it never seemed like she was doing enough. Realizing that she could help animals through law, she set her focus on law school. After finishing Loyola Law School, she jumped right in by working on "puppy mill" legislation in her home town of Burbank (legislation, that was ultimately passed after over a year of continuous grassroots community outreach and education). Shelley has also volunteered for the Animal Legal Defense Fund and when she was contacted by them about a hoarding case in neighboring Riverside County, she and a devoted group of animal protection advocates from varying backgrounds came together and shone a light on this situation which had gone unfettered for decades with likely thousands of animals dying. Again, through presentations at the local government level, the hoarder was arrested and will be standing trial on misdemeanor and felony animal charges. Shelley believes that grassroots efforts are critical in improving the lives of animals and she considers a law degree another arrow in the quiver in protecting them. Shelley's message about the animal protection movement is that “effective animal advocates come from all different backgrounds and walks of life - political, religious, economic - the most important thing we can remember as a whole is to present ourselves professionally and focus on our commonalities and not our differences in order to move the law forward for animals.” In 2013, Shelley was recognized as Burbank’s Best Attorney by The Burbank Leader for her work in animal welfare. Shelley is the Co-Founder and President of The Animal Protectorates - TAPS and serves as Chair of the Animal Law Guild, the advocacy arm of The Animal Protectorates and Executive Director of Operation Adopt (a rescue-only pet store), the protect arm of The Animal Protectorates. Shelley has previously served as Vice-Chair of Animal Legal Defense Fund - Los Angeles. She is also a past member of the American Bar Association’s Animal Law Committee.